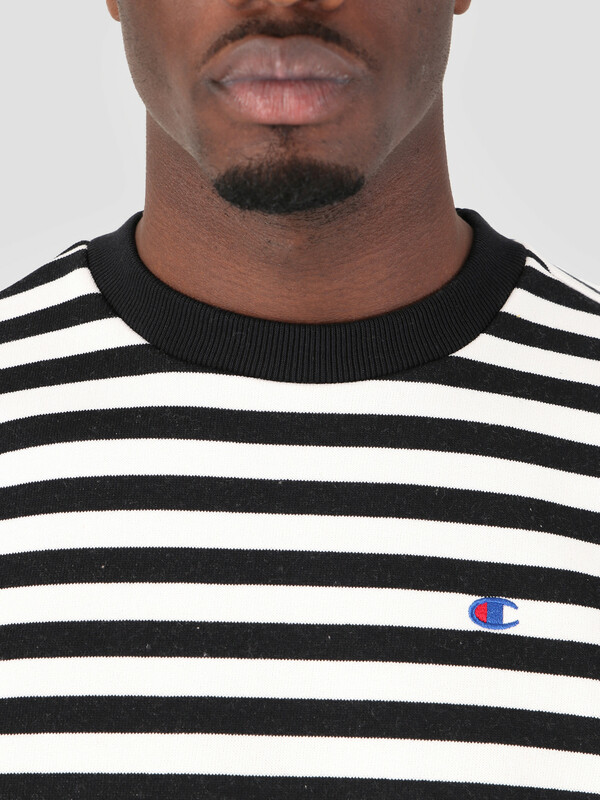 Champion Crewneck Sweatshirt in black. 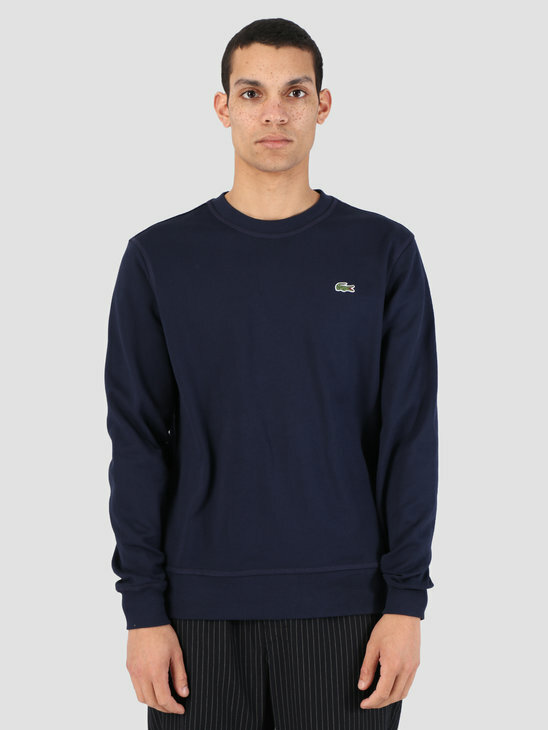 Made from heavyweight reverse weave cotton fleece. 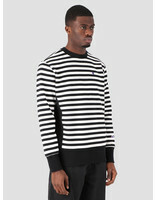 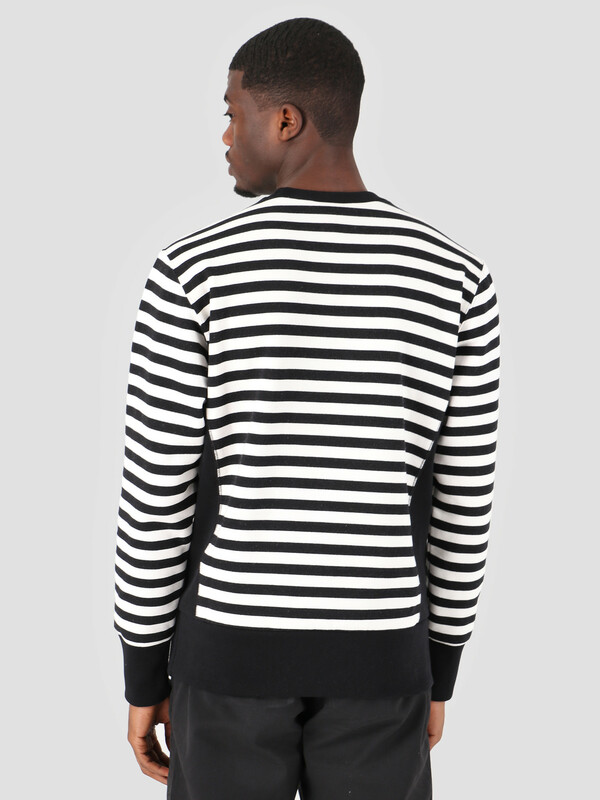 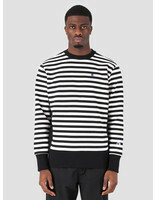 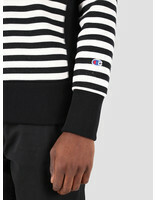 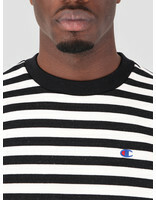 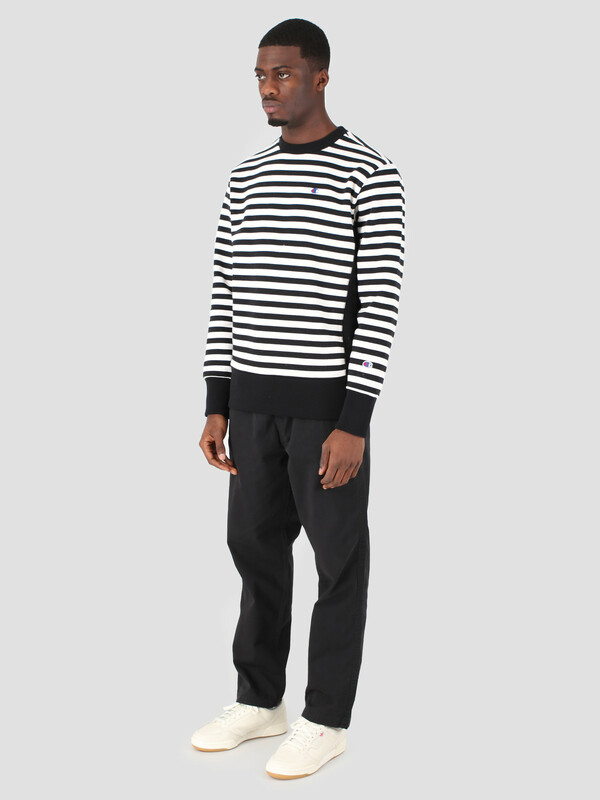 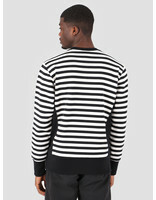 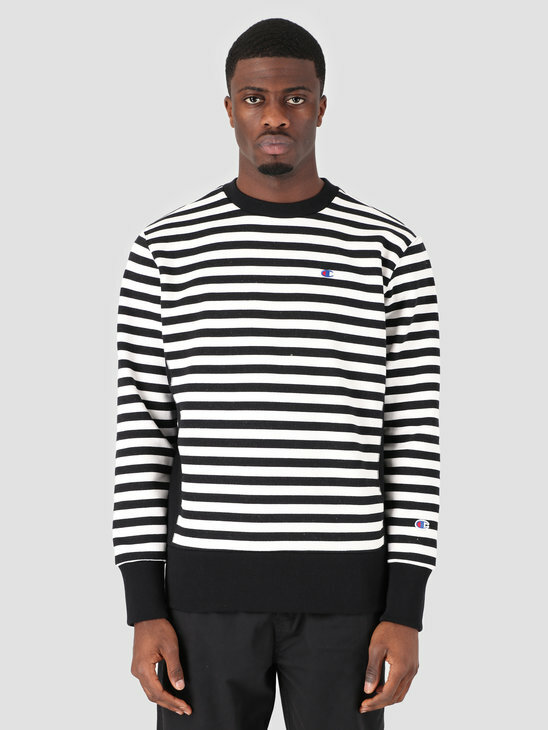 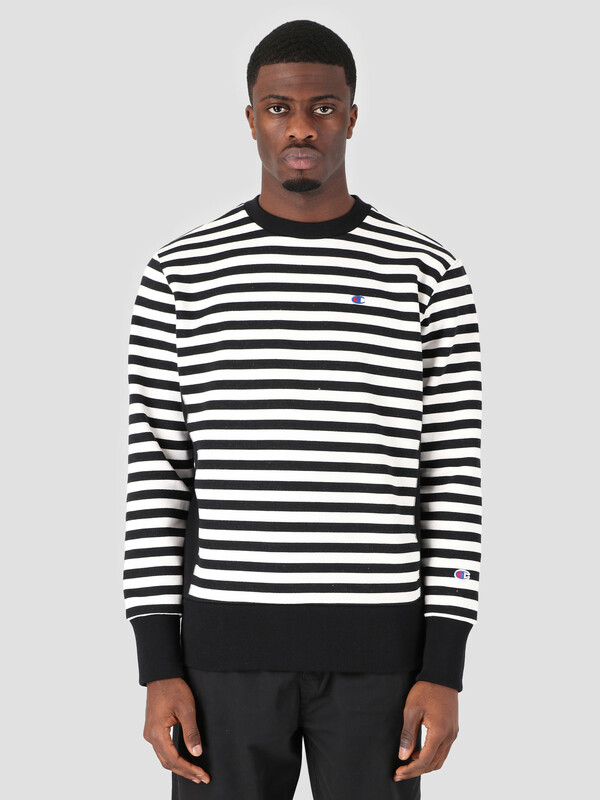 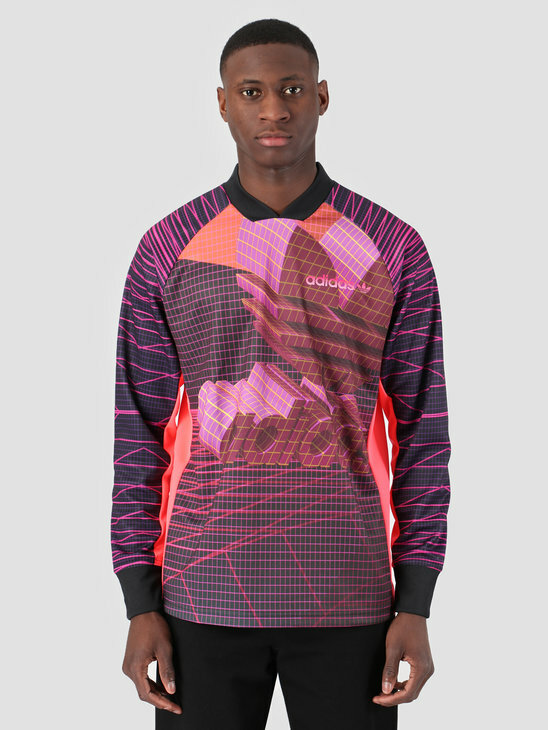 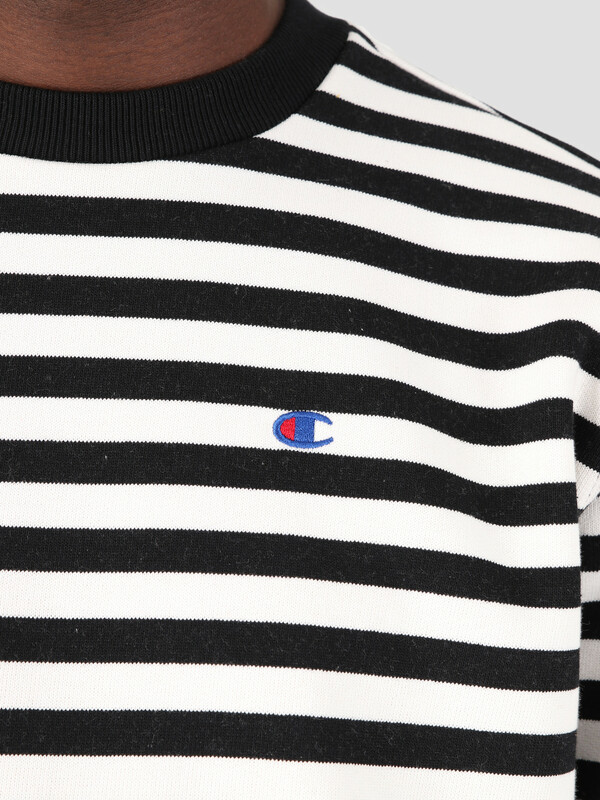 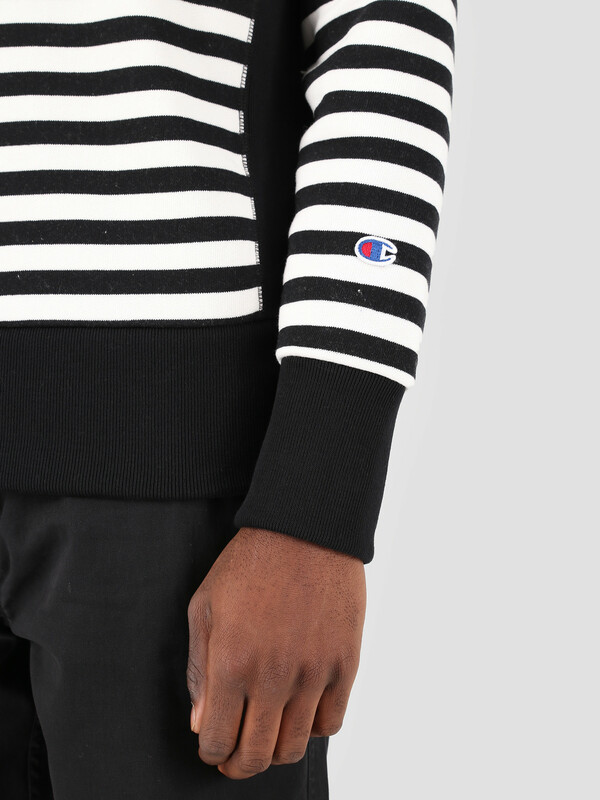 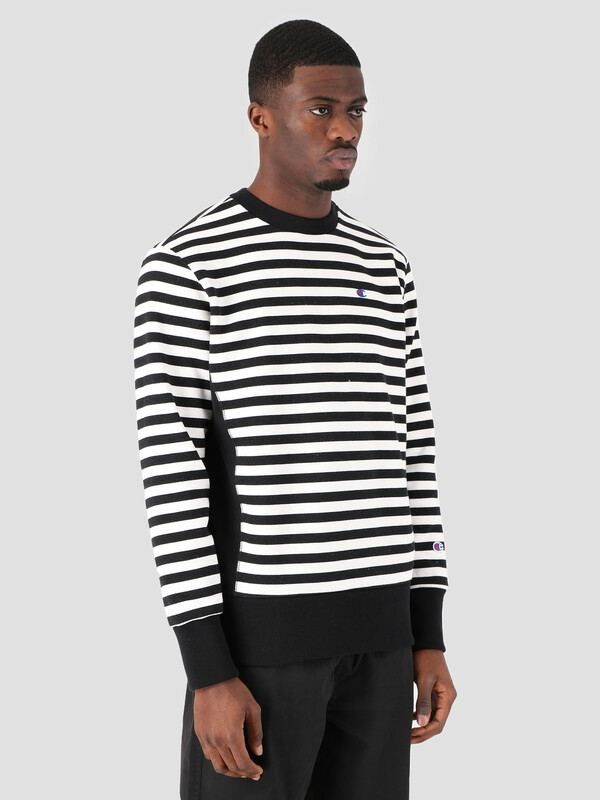 This Sweatshirt from Champion features a horizontal black and white stripe design and distinctive ribbed accents. 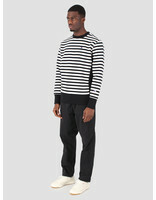 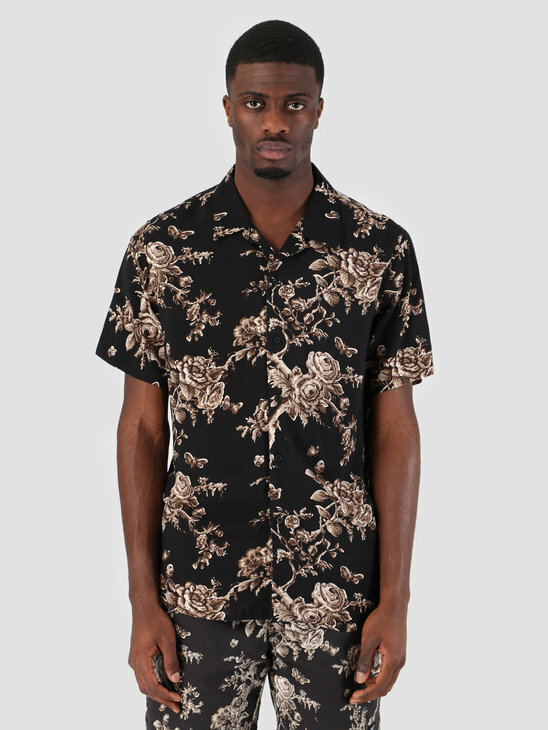 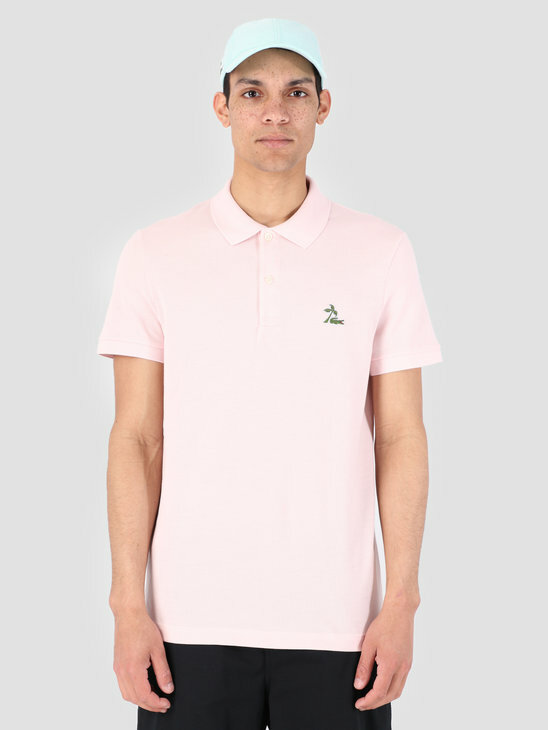 Designed with a focus on providing mobility and comfort, because of the elastic parts at the waist, sleeves and side. 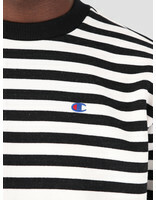 Finished with a cool small 'C' embroidery on the left chest.